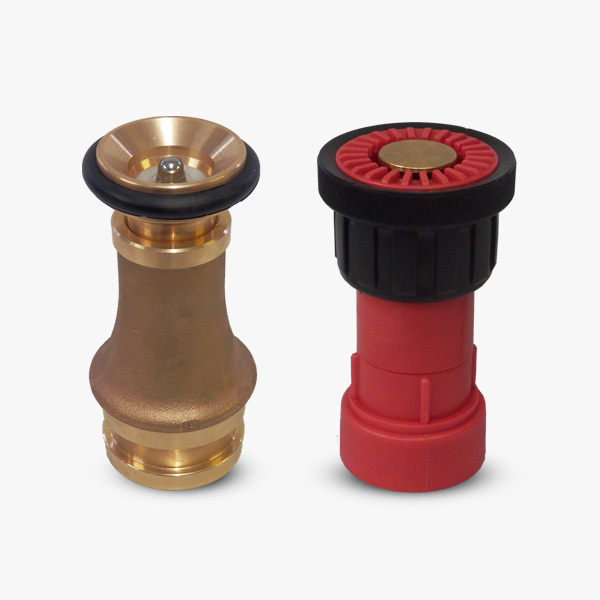 RHL stock a wide range of quality adjustable hose nozzles and branchpipes for fire fighting, industrial and marine purposes with throwing distances of up to 32 metres accommodating a variety of couplings and adaptors. Our turbo nozzles are manufactured in accordance with the standard DIN EN15182. The flow rate can be selected by means of rotating an external sleeve on the body of the nozzle. The water flow is opened and closed with the stirrup handle. This combination provides the user with the ability to select the flow rate with the type of water stream required. 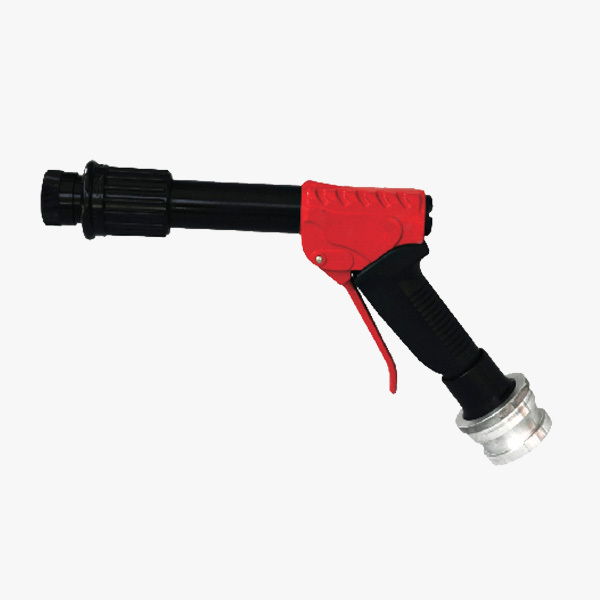 Our manual turbo nozzle is ideal for fire fighting and heavy washdown applications. It has a simple stirrup handle with on/off operation together with a manual adjustment for regulation of the water flow. Twisting of the sleeve through three pre-set positions allows the water to be changed from full jet to spray (120°). A multipurpose nozzle which offers the user the choice of jet, spray and shut off functions using a twist mechanism and a 120° spray angle. 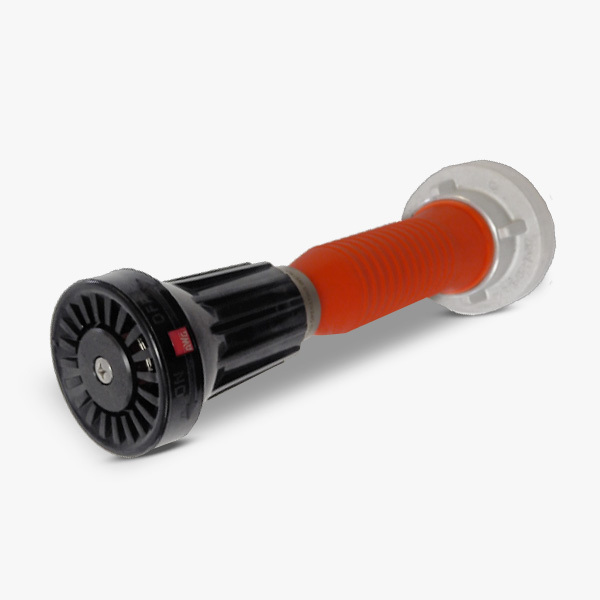 Our HS nozzle is ideal for Marine applications. 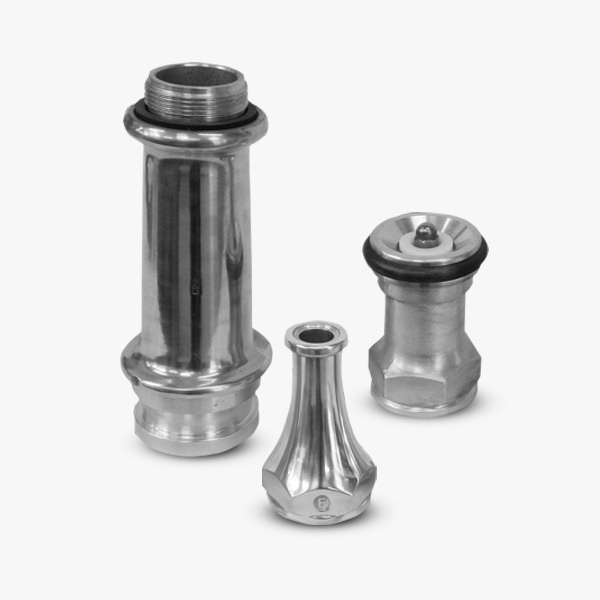 Our plain jet branchpipe and diffuser nozzles are suitable for up to 16 bar working pressure. Options are available for a single light weight alloy 1 piece combined branch pipe and a 2 piece branchpipe for use in conjunction with screw on plain jet and diffuser nozzles. 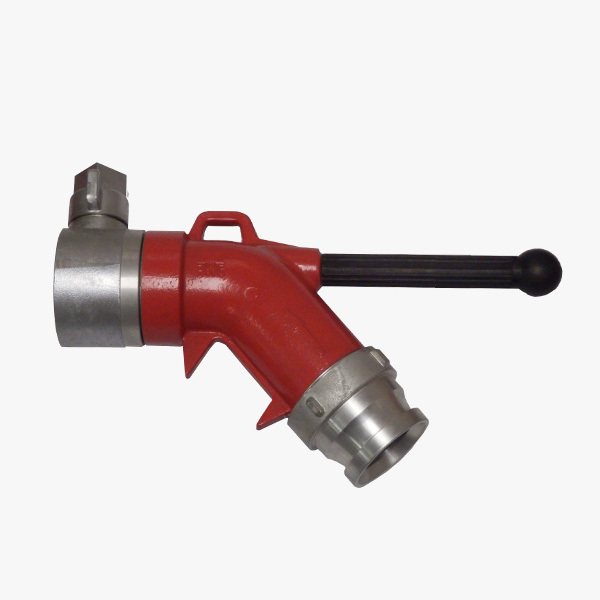 A multi-purpose nozzle which is twist operated by hand. The controller has the option of full jet, spray and shut off. Supplied with a rubber bumper ring to protect nozzle and for ease of operating the twist mechanism. A lightweight unit designed to provide the user with a more comfortable handling position by diverting the reaction forces of the water jet. It can also be coupled between hose and branchpipe when the hose is extended over a wall edge or window sill to prevent kinking. 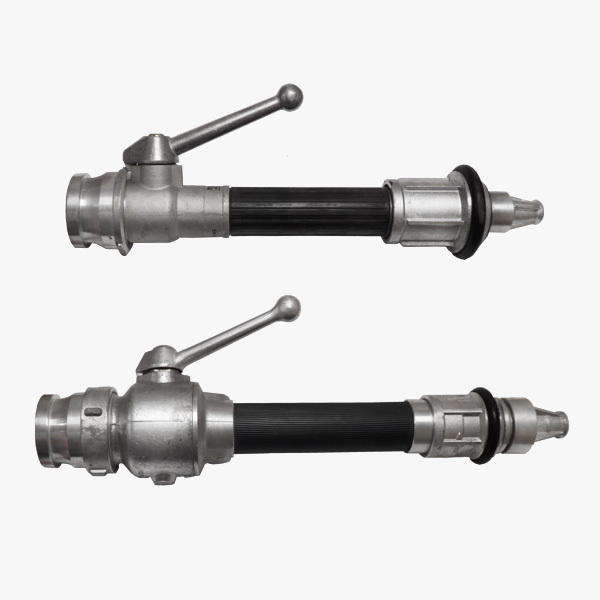 Our standard lever branchpipe nozzle is a multipurpose branchpipe with lever operation. The controller has the option of full jet with a throw distance of up to 32 metres and spray jet with throw distance of up to 14 metres. 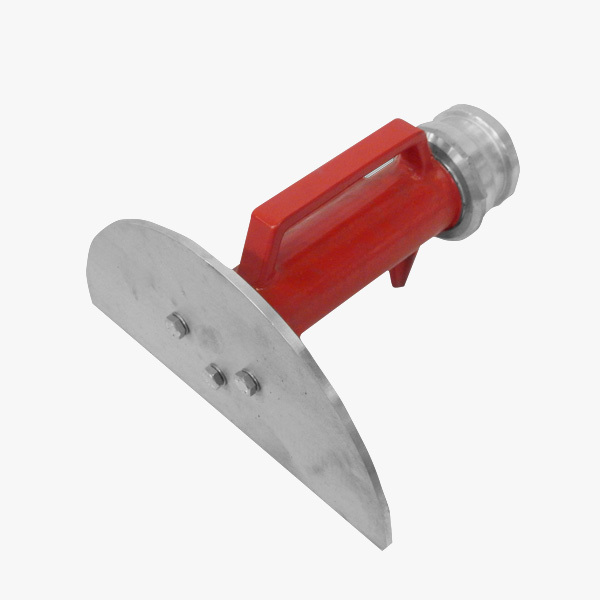 A multipurpose nozzle which comes with water curtain facility. The water curtain offers the operator a mist of water from the nozzle to protect from heat. A lever is used to control the jet, spray and shut off function. The water curtain facility can be adjusted during use by twisting the bumper ring. Our water shield provides a safety barrier against direct exposure to the radiant heat of flames by delivering a high and wide curtain of water. This can also offer protection against gases, heat and smoke. It is lightweight, portable and once in position can be left unmanned. 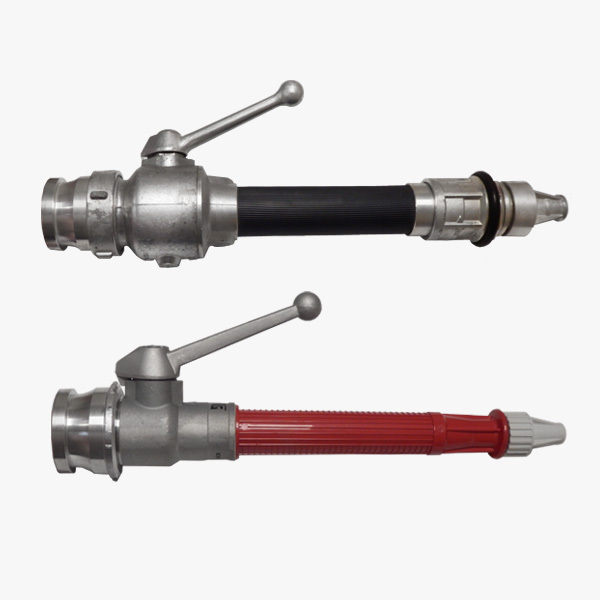 Our multi-fire branchpipes are multipurpose nozzle suitable for industrial and marine applications. 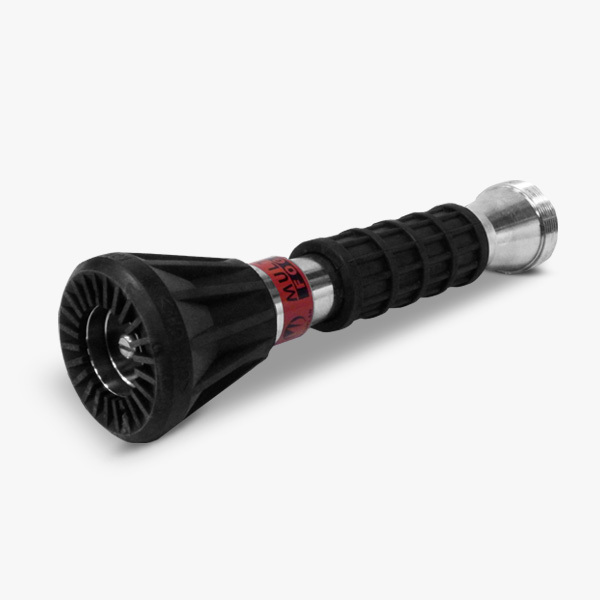 Encased in rubber the nozzle is very robust and shock resistant. 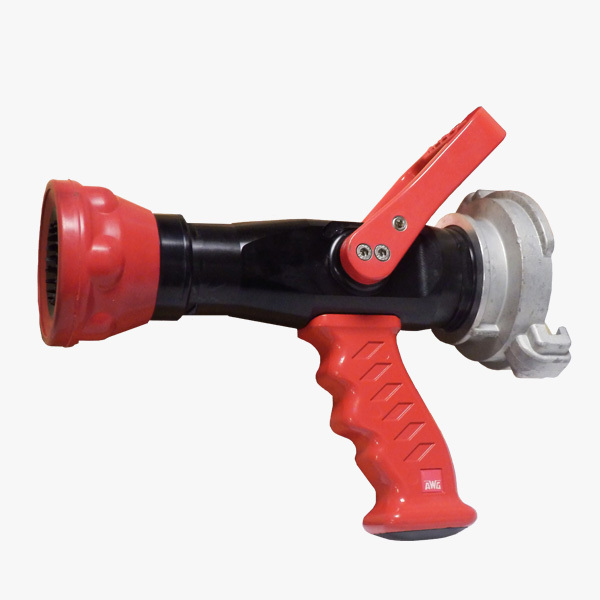 Twist grip function allows the operator the option of jet, spray and shut-off functions. Our range of pistol nozzles offer adjustable, multipurpose solutions controlled by a squeeze grip function. 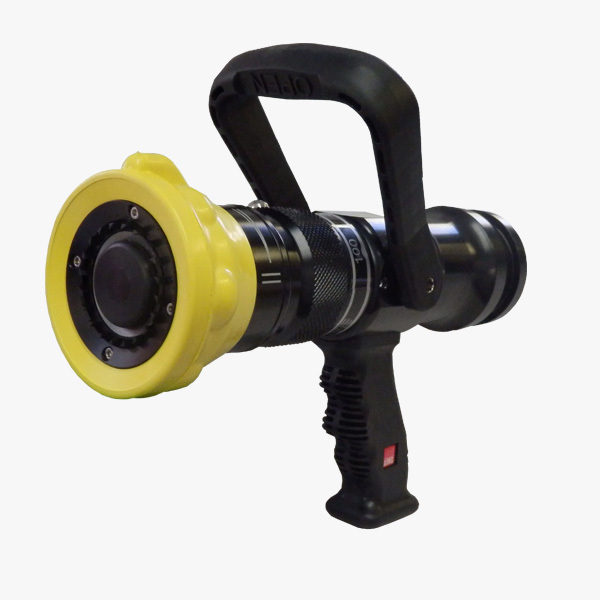 By twisting a hand grip mechanism at the tip of the nozzle the operator has the choice of spray and jet option with max working pressures of between 16 and 40 bar.